The food scene in East Coast Road, Chennai just got a face-lift thanks to a series of cafes and restaurants setting up shop here. 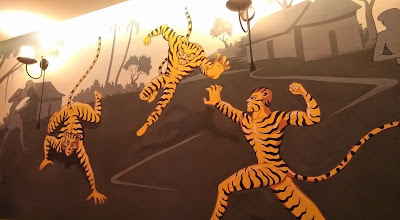 The latest addition to this is the well known "Maplai" restaurant . 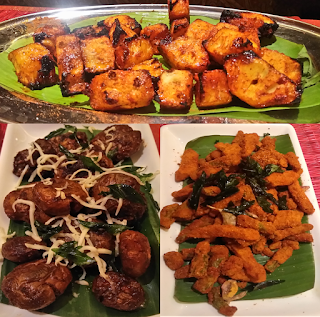 After getting rave reviews of their first branch in Nungambakkam, they have now confidently expanded to ECR. This should definitely be included in one of ECR Top Restaurants. Luckily I was invited to a food bloggers meet to try out their super speciality "Maplai Virundhu" on the house. "Maplai" literally translates to Bridegroom in a wedding. Hence the meal technically stands for a grand feast that is usually served as a part of the hosting ceremony for the new family. So you might probably imagined how the meal served here turned out to be. 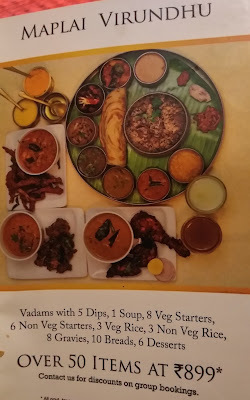 Staying true to its name, the menu had an enormous variety of dishes right from a delicious soup, 8 types of veg starters, 6 non-veg starters, 3 rice varieties, 8 types of gravies, 10 types of breads and 6 starters. Quite thankfully, they have this meal served on the table than the standard buffet fare you find in most hotels. Without a doubt, it was a fabulous meal and definitely one of the best I've had in recent times. The lunch started with a thick Tomato Soup and then came 8 irrestible dips in various colours along wiht freshly fried Vadaams ( a South indian version of Paapads). 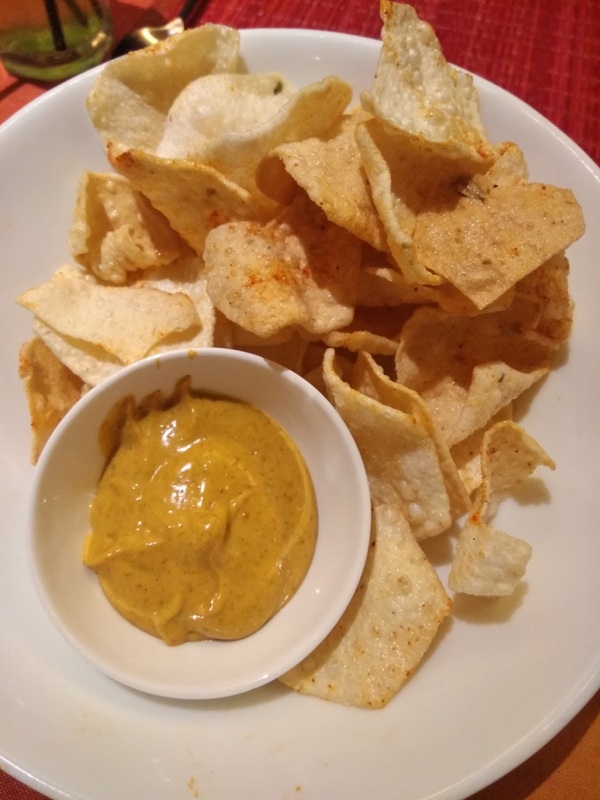 The Dips included Mint, Avaka Mayo, Chilli & Garlic and a few other variants. They should have probably added a disclaimer, that this could be super addicitive and you cant resist eating them. Coming to the most favourite part of my meal, I give extreme importance while choosing a buffet. 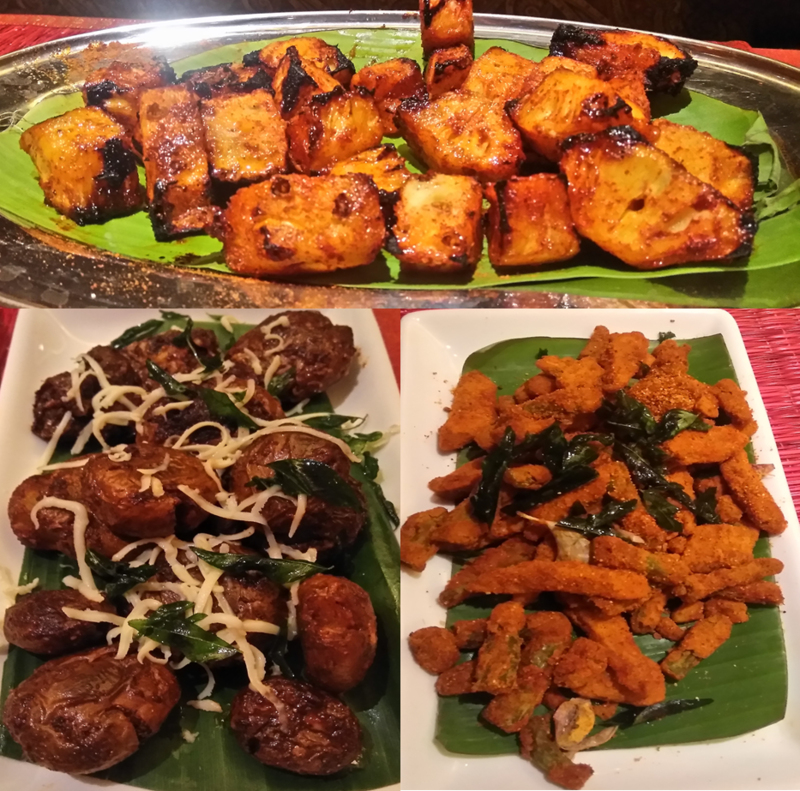 Despite being a vegetarian, I was given around 8 choices (most of them cooked in Andhra style) which included grilled pineapple, bashed potatoes, Tandoori Vegetables, crispy fried Okras (LadiesFinger), Guntur Corn and ending with Paneer Tikkas . The starters were not anywhere similar to what you get you in typical "Barbeque" joints but rather had a distinct flavour , cooked in a Southern style which was super refreshing. Having been given an interesting foray in starters, the main course also followed suit to have a completely revamped menu. Main course included 3 types of rice and 10 types of "South Indian" breads. This included Ghee Rice, "Thalassery Biryani" and Curd Rice. 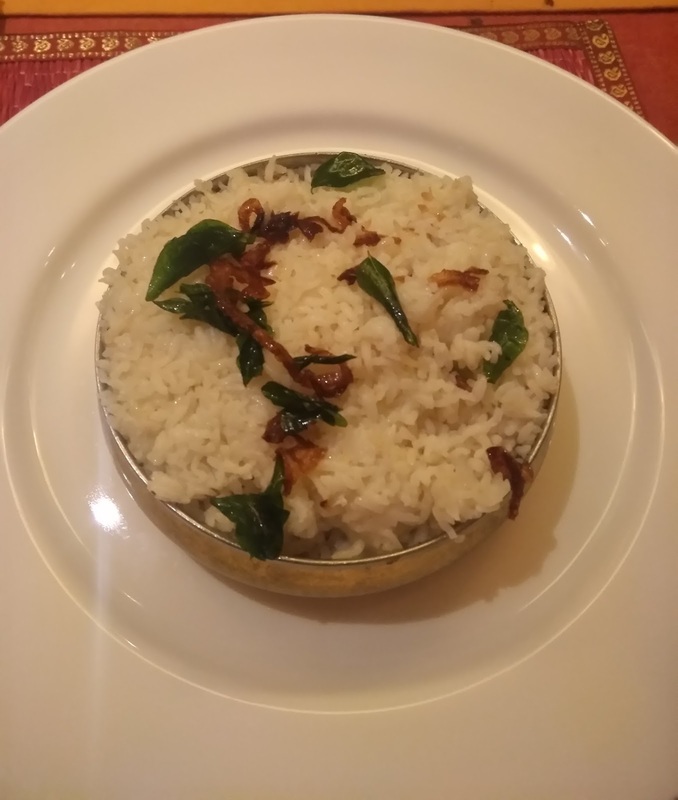 The Thalassery Biryani in particular was one of the highlights of my meal . The rice coupled with the curry layer beneath turned out to be the best I've had . My craving for "Veg" Biryani has suddenly shot up post this. 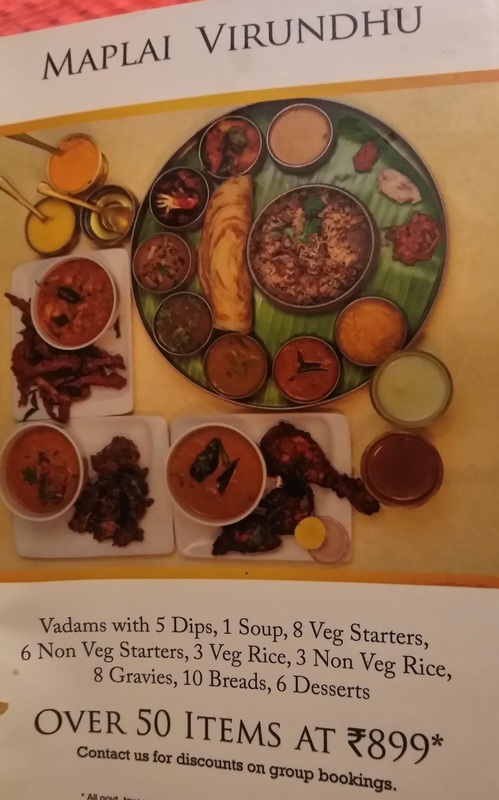 The South Indian breads included : Malabar barotta, Appam, Idiyappam , Coin Parotta, Kal Dosai, Paniyaram, Wheat Parotta and the likes (All served on request) and not the usual Tandoori Rotis and Naans. 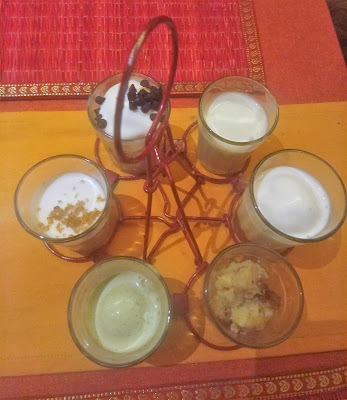 Sheer Kuruma(Vermicilli Payasam), Paan Ice Cream, Kubaani Ka Meetha, Pudding made out of coconut milk, Fried Bread soaked in Masala Milk and Tapioca Phirni . This is certainly one meal that you should experience atleast once. 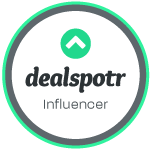 Maplai Restaurant in ECR is located near to the Neelangarai station and quite easily identifiable from the road.